at Spooner Hospital Construction Site. 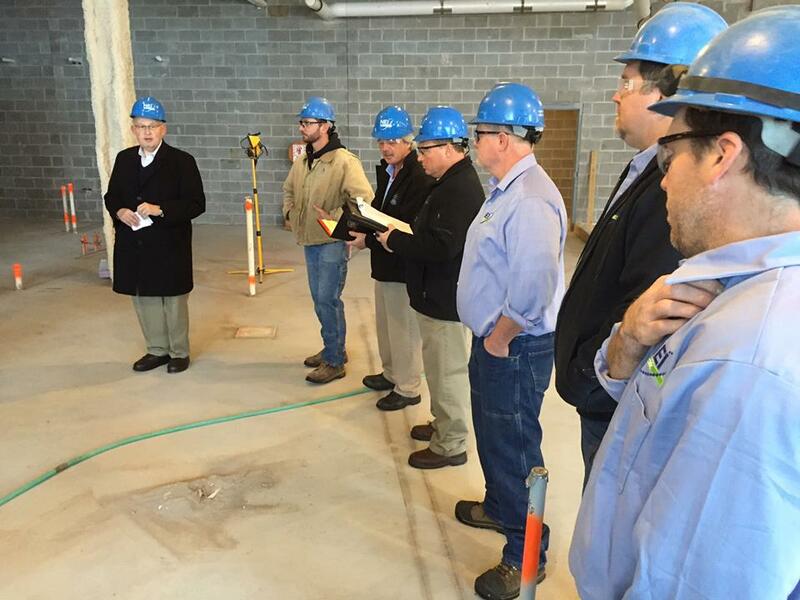 Apprentices from St. Croix Falls-based NEI Electric earn as they learn at site of new facility. 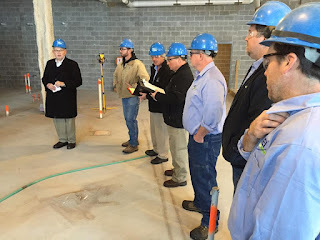 NEI Electric had the proud honor of touring the new Spooner Hospital to highlight Wisconsin Apprenticeship programs with DWD Assistant Deputy Secretary Dave Anderson. Great article featuring NEI Electric's Senior Vice President John Gerlach. NEI Electric recently completed Phase One at The Mother Baby Center at United and Children’s in St. Paul.The project included: Expansion and transformation of the triage area, labor and delivery rooms, operating rooms, post-operative rooms, newborn intensive care unit (NICU) and grand lobby/family waiting area. 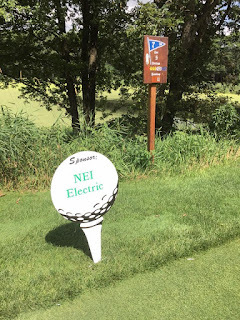 NEI Electric is an established electrical contractor with four offices in the Twin Cities and Western Wisconsin. NEI Electric provides commercial and industrial businesses with excellent customer service resulting in long term relationships. Our employees are well trained, conscientious, community minded people and our Eau Claire, WI Office is in need of a quality individual to add to our staff. The primary functions of this role includes, but not limited to: Provide overall administrative and technical management on construction project site from estimating and bid preparation through final acceptance by client. Provide initial client contact to assess scope of work and resources required to successfully complete project. Prepare complete estimate for selected project with detailed review of proposal specifications, drawings, takeoff information, contracting, and the like. Supervise total construction effort to ensure project is constructed in accordance with design, budget and schedule. Includes interfacing with client representatives, AE representatives, other contractors, etc. Provide technical assistance, i.e., interpretation of drawings, recommending construction methods and equipment, etc., as required. Initiate and maintain extra work estimating and issuance of change orders. Must have thorough knowledge of project management, project management / estimating, scheduling, business development, sales, marketing, quality control, field safety, start-up, Microsoft office suite, estimating software and computer skills. Controller Position-St. Paul, MN Location! 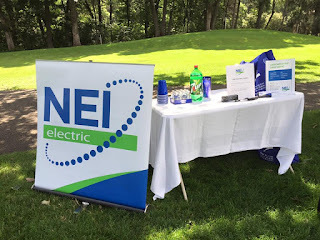 NEI Electric offers an excellent salary, benefit package that includes medical, dental, vision, 401(k), flexible spending plan, and vacation time. Join us and become part of our great team! We are excited to partner with the HR Professionals at Instigate, Inc. to manage our recruitment efforts for this opening. All responses will be processed promptly on behalf of our hiring team by Instigate's TalentAssist - Recruitment Process Management Services. Please submit your resumes, applications or questions directly to Instigate for consideration. Thank you for your interest in joining our team! The Future of Workplace Lighting: 6 Lighting Experts Weigh In! NEI Electric can design lighting solutions for your company to create a personalized environment for your employees that will increase productivity. It's time to tackle those house projects now that the kids have returned to school! 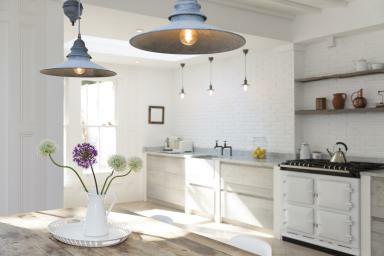 Here are some great tips regarding upgrading your lighting. NEI Electric was a proud sponsor at the 25th Annual United Hospital Golf Tournament. The golf tournament was a huge success and because of volunteers that generously gave up time to support the organization they raised $175,596!!! All Proceeds from the tournament will benefit the Mother Baby Center at United and Children's in St. Paul. NEI Electric is an established electrical contractor with four offices in the Twin Cities and Western Wisconsin. NEI Electric provides commercial and industrial businesses with excellent customer service resulting in long term relationships. Our employees are well trained, conscientious, community minded people and our Eau Claire office is in need of a quality individual to add to our staff. Must have thorough knowledge of project management / estimating, scheduling, business development, sales, marketing, quality control, field safety, start-up, Microsoft office suite, estimating software and computer skills.